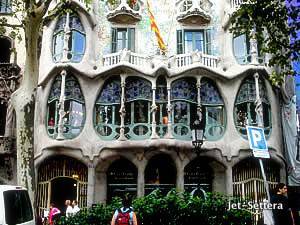 Read about Activities in Barcelona by the Hostelgeeks Blog. 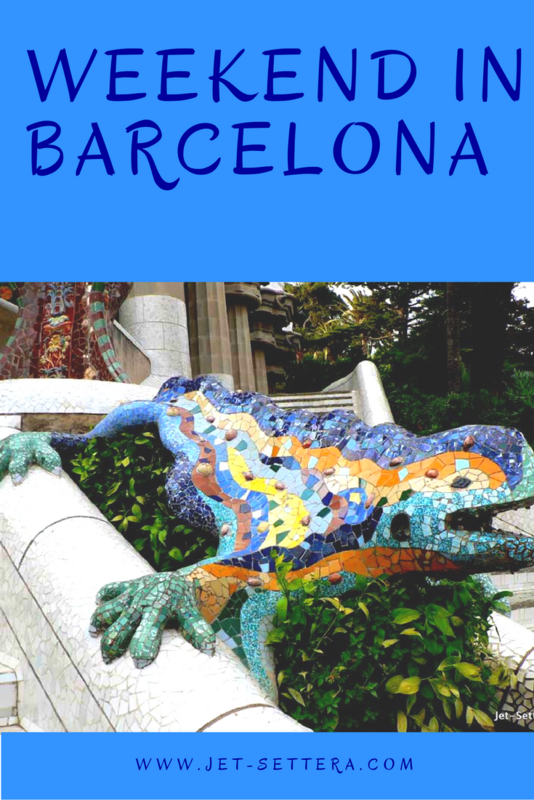 Find out more about the Barcelona Tourist Bus. Read about the 16 best day trips from Barcelona. Barcelona was a very interesting city. It was totally different from our prior stop, Rome. Barcelona was more like a modern city with a fascinating architecture. It was nothing like any other cities I had seen before. There were so many things to do in Barcelona. Gaudi’s funky buildings make Barcelona a unique place. These are the first thing you should visit. We saw some really cool buildings. We also visited the park on the top of a mountain where Gaudi’s home can be found. It is converted into a museum now. 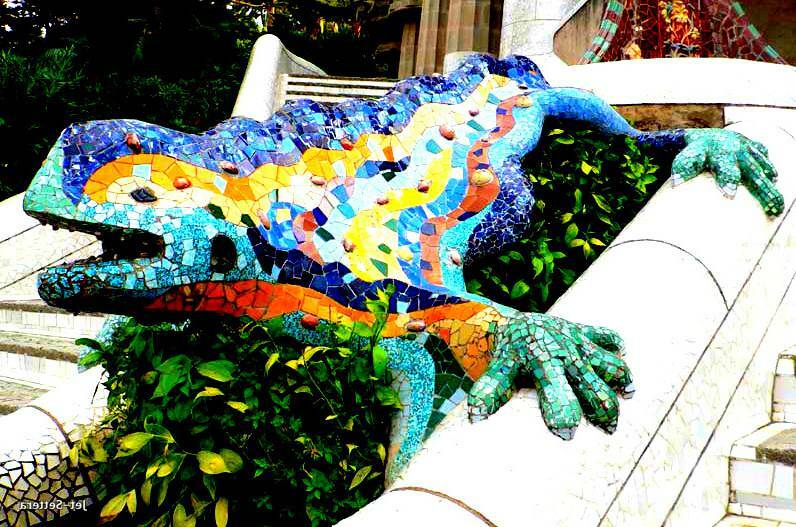 Up there you can see the famous crocodile made out of a mosaic that Gaudi designed. It is the symbol of the city today. We were wondering what to do in Barcelona next. We had the option to get some Sangria and tapas or go sightseeing. 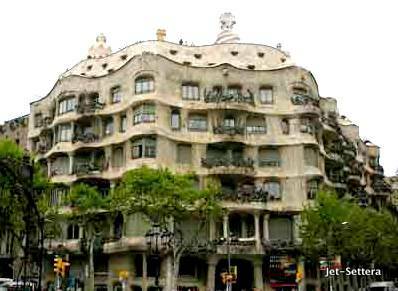 We decided to continue visiting the fascinating buildings of Gaudi. We visited the unique Sagrada Familia next, which is a famous church of Gaudi. It is different from any church I have ever seen before. It is modern and eclectic, just like the entire city. It is certainly the most interesting of the Barcelona points of interest. Other places to visit in Barcelona included the Picasso Museum. Here I learned many interesting things about the different phases of Picasso’s life and his different styles. Also, there was a very interesting temporary exhibition on the artworks that he had owned. He owned almost 1000 paintings of different painters from different eras. Here are 10 Things You Need to Know Before Planning Your Spain Trip. There were many things to see in Barcelona at night as well. People gathered outside the bars. We enjoyed going to Tapas Bars and tried all the different pinchos every night. One of the top things to do in Barcelona was shopping. We enjoyed shopping and walking around on La Rambla. There were many street artists and nice cafes and shops along the road. One of the best things to do in Barcelona is strolling down La Rambla to the beach and enjoying the vibe of the city. Barcelona was a fascinating place from an artistic point of view. The architecture and the streets were really beautiful. The only thing that bothered me about it, is that many people spoke Catalan and not Spanish and in most cases, I was unable to understand them. Tagged attractions in barcelona, weekend in Barcelona.